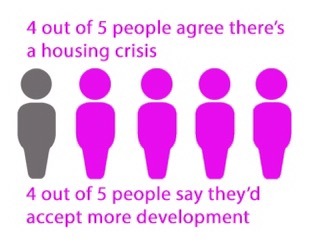 Four out of five people agree there’s a housing crisis. Crisis means different things to different people, but a recent survey revealed the root is the same: decent, affordable homes are becoming harder and harder to find. What is more surprising perhaps is that four out of five people would also accept more development where they live, so maybe we’re not a nation of ‘not in my back yard’ after all. We’ll need that local support for housebuilding given we need around 300,000 new homes each year, double the levels we’re building right now. I feel like I’m never going to be able to buy a house and that scares me. What happens when I retire? I’ve worked in housing for many years now, and I’ve seen how something as simple as a house is intrinsically bundled up with people’s emotions, their aspirations and their financial security. It’s not just a castle for an Englishman. It’s a bank, a springboard, a safety net, an investment, an inheritance, a pension. So I decided to carry out a survey. As house prices cannot carry on booming, I particularly wanted to track the trends as the market shifted, but mostly I wanted to hear firsthand what housing meant to people. I had around 140 responses, mostly through Facebook and Twitter, spread right across England and Wales, from homeowners to renters, from families to singles. The majority were in the south east and I appreciate it’s a small sample size. But what was most eye opening were the individual stories that people shared. Housing, the place we call home, is so vital to our quality of life. I was homeless for 3 months last year! The b&bs around our area were bursting at the seems. My housing officer said its the worst they’ve seen since they’ve worked here. When is a crisis a crisis? A third (32%) of respondents said they were worried about keeping up with their mortgage or rental payments. Given record-low interest rates, this was higher than I was expecting. But, on average, houses cost first time buyers 4.5 times average incomes in the south east – up from 2.6 times in 1996. Where I live, a 3 bedroom home can cost £500,000. Getting on the property ladder to be a first time buyer is near on impossible despite good incomes the deposits are astronomical. And low rates often benefits those with a home, bought a lower price and with some equity. Those buying at a peak of house prices will take on a larger debt, albeit at low rates. Should rates rise payments will quickly become more difficult to meet. As well as house prices, rents have been on the up over the last few years (as the graph shows below), while wages haven’t kept up. Government has always been interested in the housing market. It impacts on jobs and economic growth, consumer confidence and spending, social mobility, health and education – it affects the income government can receive from taxes and it simply makes people feel wealthy. It’s importance is not in question, but where government gets involved – or leaves to the market – varies greatly. 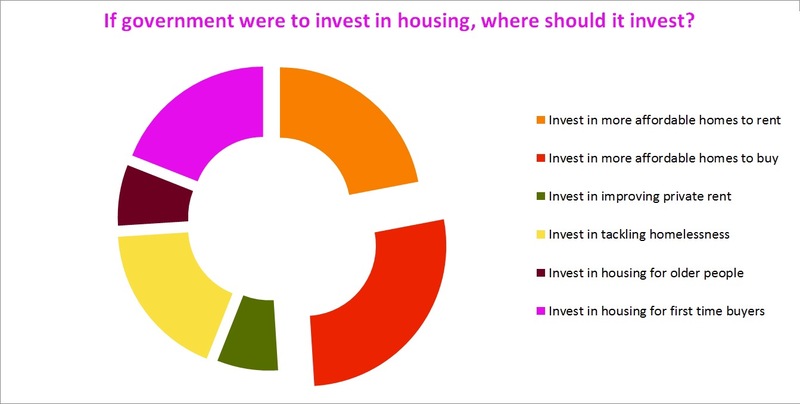 The survey question assumed that government would invest in housing, and respondents were split fairly evenly on where they thought they should put the money. Not surprisingly affordable homes to buy topped the shopping list, but affordable homes to rent was seen as a slightly greater priority than helping first time buyers. Perhaps, the solution is about combining cheap, long-term finance options for those starting out with building more homes that everyone can afford, from first-time buyers to those looking for the home for life. It was reassuring to see tackling homeless was a priority given the survey was an exclusively housed group of people. But interestingly private rent was low down the list, as was older person’s accommodation. Perhaps the reason for the latter was because most respondents fell in the 24-45 range, but the issue of decent, affordable housing – with the right level of care and support – will only get more important as our population ages. What are housing associations for? I work for a housing association, and have been in this sector for about seven years now. Since I’ve been here there’s been a concern that the sector doesn’t have a unified voice, a single elevator pitch for what it’s for. This is reflected in the words people used to describe housing associations (left). People know we provide affordable homes, they know we’re ‘social’ or charitable and many are positive about the difference they make. 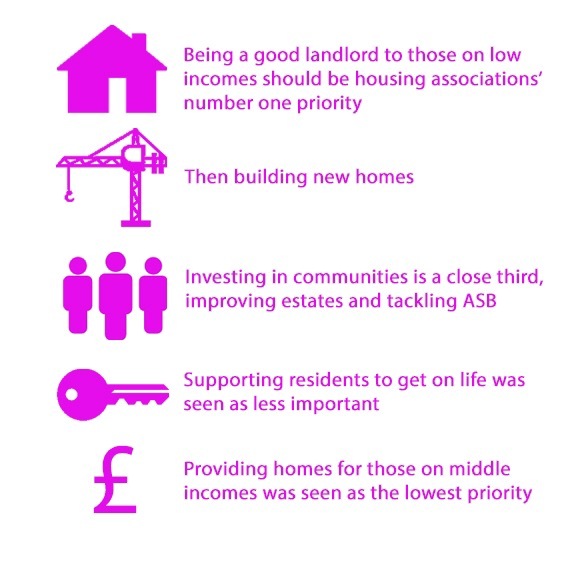 When asked about where their priorities should lie, while being a good landlord was the main focus, they recognised housing associations role in building new homes too. Interestingly, and probably not surprisingly however, people didn’t see helping those on middle-incomes as such a high priority. These housing options, such as shared ownership and private rent, do meet a need (people on middle incomes can also struggle to buy a home while some want the flexibility that comes with renting). 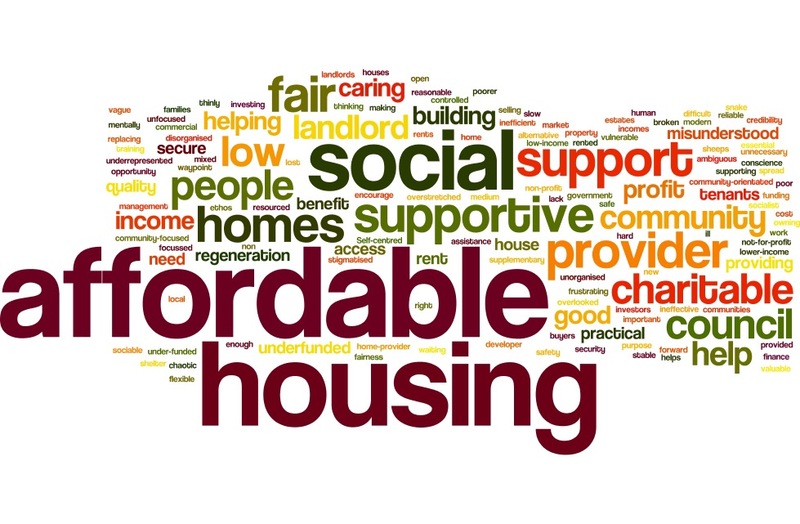 While you can argue whether it is for housing associations to meet these needs, the truth is that to build more affordable housing, housing associations have had to change how they operate. In the past, housing associations would have received government grant to subsidise the construction of a home so it can be rented at sub-market rents. This grant has all but dried up, so housing associations have been adapting, seeking other sources of finance to keep the building going. Selling properties and providing more homes for private rent is one way to bring in more money to replace the grant. This income then makes it possible for housing associations to build more affordable homes and provide services for those that need them. Housing associations provide a vital safety net for vulnerable people. Housing associations may not always get it right but they are doing their best and have a hugely important role in helping people who are usually doing their best to get on in difficult circumstances. We’re not building enough homes, many are not available at a price – to rent or buy – that people can afford and that meet the needs of our changing and ageing communities. There is no way the housing crisis will be solved, as no-one is doing enough about it – government, housing associations or councils. The main levers government has to affect housebuilding are planning, investment and regulation. But getting the balance right, given financial and political constraints, is the challenge. If you bring one down, you need to dial others up. For example, if you reduce investment you could mitigate the impact by removing planning restrictions and red-tape. But you don’t want to reduce it too far or you could impact the quality of the homes or not build the types of homes that meet the broad range of needs in an area. Government can try to force those who can build but don’t (or are not building the type of housing needed, or not quickly enough) while incentivising those that want to build, but can’t. I believe that housing associations have a big role to play. 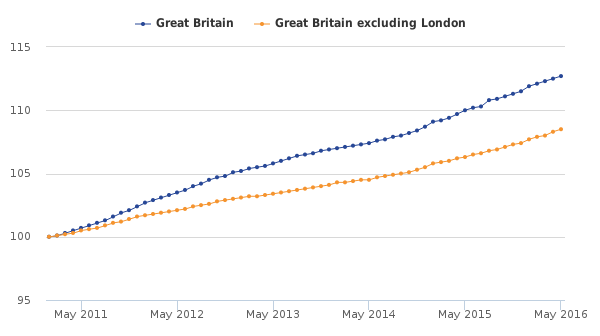 Last year the top 50 housing associations built 40,000 homes (Subscription required). This is a decent effort, but we need to go much further. I disagree with the respondent that said government, housing associations and councils don’t want to solve the housing crisis. They all do, and, in difficult and uncertain circumstances are doing what they can to build more homes. But what struck me most from this survey, which came through strongly in the individual stories, is how many different types of crisis’ there are. Every person, couple and family, at each stage of life need a safe and secure home. The challenge is knowing which crisis to solve first. We woke to a new reality on Friday 24 June, and a new direction for our country. If, like me, you’d hoped to remain, I’m sure it was a disappointing moment when you realised the result had gone against you. If you’d voted to leave, I’m sure you’ll be excited that the United Kingdom will have the chance to take back control of its destiny and stand on its own two feet. As the dust settled, the pundits have looked for reasons why we turned away from Europe. You could blame anti-immigration, anti-Conservative, anti-Cameron or anti-Corbyn, anti-European or anti-establishment. You could blame years of EU-myths and the right-wing media. You could say it was about freedom, fear or hate. But it was probably all of them. And what this referendum has revealed, especially when combined with the divisive general election results, is how fractured we are right now. Owen Jones in the Guardian wrote that this was a working class revolt, with millions fed up with the system. And when there was nothing to lose, leaving, making a change, was never a gamble. It’s true that for so many the system has failed them again and again. Meanwhile the young have been left speechless and powerless. Politics is cyclical, and with 75% of 18-24 year olds voting remain, the next generation will have their day, someday. Migrants and European workers in Britain will be uncertain about what the future holds for them – and what their place is in their communities is. The ripples from the vote are already being felt. 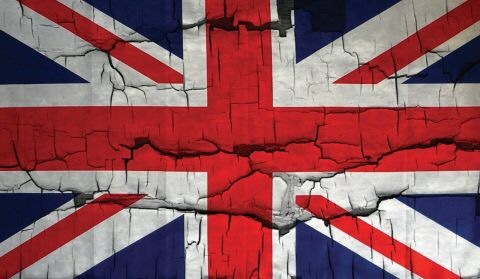 The markets and pound crashed (and bounced), some big businesses and financial institutions revealed plans to leave themselves, our EU neighbours postured (some calling for a quick exit and tough deals and others demanding their own referendums), and political leaders toppled (or perhaps began to topple slowly). While Spain eyes up Gibraltar, it’s likely, and understandable, that Scotland and Northern Ireland will try to seek their own freedoms too. David Cameron promised One Nation politics. Sadly his legacy will be a country that’s never been more divided. This may be a short, sharp shock. It may be the start of another recession, job losses, falling house prices and rising costs of living. We’ll see, no one could really predict the future on the campaign trail. I’m sure we’ll all roll our sleeves up and get on with it and we’ll make Britain a success in the long run. But we’ll be judged on our efforts, there’ll be no-one else to blame or bail us out from now on. But the real challenge is how we get our society back together. The first step will be for both ‘remainers’ and ‘brexiteers’ to work towards building a new country together (I’m working through the change curve, I promise, I’ll get there). Theresa May’s leadership – and her choices for her top government posts – will be crucial in starting to heal the country and recreate much-needed stability. Her vision of a country that works for everyone is an honourable one – one that Cameron would have endorsed – now we’ll see how successful she can be. And we all, and I mean all of us not just the political class, will have to stand up and start healing the rifts. 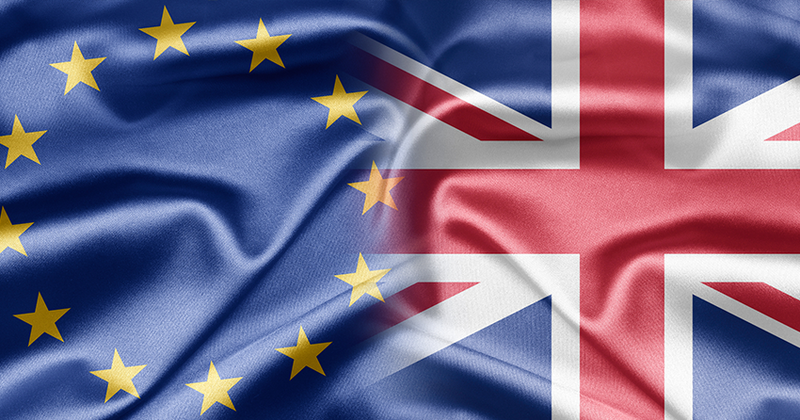 Whether you backed remain or leave, hold Labour, Liberal or Conservative views, we now have to make the most of this opportunity, put the past few months behind us, reengage positively with our neighbours, next door, across the channel and online, and try to reunite our United Kingdom. Is time running out to save Great Britain? At 10pm on Thursday 23 June, polling stations across the country will close. Boxes stuffed full of scraps of paper will be taken to halls to be counted and, unlike a General Election, the result will have irreversible and lasting ramifications. So it’s a decision for the head, right? I’ll admit, when the referendum was called I intuitively felt remain was the right choice. But I wanted facts. What frustrated me was both sides claimed to be the expert on every topic – the economy, immigration, education, the environment, housing and so on. Facts, ones you can be really confident in, were, and remain, hard to find. But almost all world leaders, scientists and most economists seem to back remain. In the Sunday Telegraph yesterday, which actually backs leave, they listed the main supporters for both sides. On the leave side they included Ian Botham and Sol Campbell. While Beefy is an excellent cricket pundit, 14 centuries and 383 Test wickets does not make him an expert on what’s best for a nation. I want Great Britain to be a country the rest of the world looks towards. We’re a small island with a big history, a nation of just 65 million people that has grown to have a large say on the way of life of the 7.4 billion people living around the world. We’re lucky that we remain in a position to show the world what democracy can achieve and that we make the right decisions when push comes to shove. As a nation we feel deeply, and we give what we can. The outpouring of vigils, words and even financial support for Jo Cox’s fund in the days after her murder is just one example. Times are tough right now, I know years of austerity makes it more difficult to look beyond our own homes and family’s needs, but we shouldn’t neglect our moral duty to stand up for those that cannot stand up for themselves around Europe and the world. Immigration is an issue, so let’s have a grown up debate, but by leaving the EU and taking the ‘Trump’ approach to our borders is not one that’s good for us or the world. And it’s true that anti-EU feeling is not a UK-only trait. Brexit could lead to others following, a splintering of the continent that has brought decades of peace and prosperity to so many. The UK should be a country that leads. And no-one leads from the back of the pack, let alone from the sidelines. I’ve got two kids, aged one and four. If we leave, what will they ask when they look back at the referendum in their history lessons in ten years or so? They may ask why we isolated ourselves when the world was moving towards greater collaboration. They may ask why, after the ‘empire’ had collapsed, we thought a return to greatness was through severing ties with our closest neighbours. They may want to know how we couldn’t see it as the first step towards the end of the United Kingdom itself. There’s a reason nearly all major companies have collaboration as a ‘value’. Why, when the world is becoming a more competitive market place, would UK PLC want to purposefully put itself into a silo? The EU obviously has faults, like all major governance structures. But what the EU does is create an opportunity to make a difference on the big issues of our time. Issues that don’t follow borders or respect a national flag. Tackling terrorism and crime, alleviating poverty, making major companies pay fair taxes, peace keeping and environmental threats – they all need more collaboration, not less. I’m sure all these arguments could be reversed, but I know I’ll vote to remain on Thursday. I’ll vote for a future within the EU because I believe the UK is stronger by keeping our seat at the top European table, that it’s the right thing to do to use our influence to do more for our people at home and around the world. I’ll do it because I think it’s the right choice for my children and, one day, my grandchildren. But, honestly, I fear that we’ll decide to leave this week, or, maybe worse, we’ll vote remain by such a narrow margin that all the hatred and divisions created by this campaign will never get the chance to heal. Housing probably seems pretty dull right? But we all want a safe and secure place to call home don’t we? Without it, everything else just doesn’t work. I work in housing, and I’m surprisingly passionate about it. I write about it here on my blog (along with politics and PR) and I’m currently researching peoples’ views of housing in England and Wales. I want to better understand what people think about their home, new development, affordability and to get opinions on the role of housing associations too. So, I’ve put together a really simple, 100% anonymous and no-more-than-10-minute Housing Perceptions survey to get as many thoughts and views as possible. I hope you can take part too. The survey will close Friday 27 May, and I’ll share the statistics and the stories right here on my blog in June. Please do come back to see what the survey says or, if you’d like, you can subscribe by email to my blog so you don’t miss the results. It’s Super Thursday, with voters heading to the polls across the country. Here are some of the big stories to watch out for. Has the Panama Papers scandal and EU rift damaged the Conservatives? A few months ago the Conservatives were unstoppable. Even with a small majority, they were pushing legislation through parliament at pace while the media focused on the chaos on the other side of the House. And then came Europe and Iain Duncan Smith’s astonishing attack on his former cabinet colleagues. Since then the party has been divided as Conservative heavyweights campaign against each other ahead of the EU referendum next month. Throw in the Panama Papers scandal and Cameron’s particularly uncomfortable week as he slowly revealed his own family involvement – and it could be an uncomfortable night for government. Can Corbyn continue the recovery? 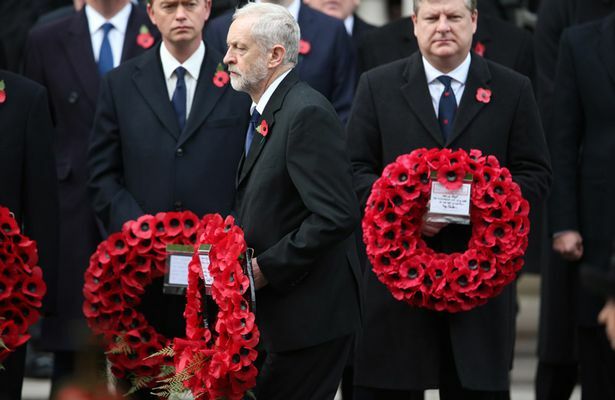 It seems a long time since Jeremy Corbyn was criticised for not bowing deeply enough at the Cenotaph. While the party has been hit by a divisive anti-Semitism row, Corbyn and his grassroots supporters have survived longer than any commentator expected. But today is the first public test of Corbyn’s leadership. Labour are likely to win back London, but will that be enough to show the party is getting back on its feet? Have the Liberal Democrats delivered on their fight back promise? Paddy Ashdown eating his own hat is a haunting image of the 2015 general election. The polls had been so wrong and the LibDems were in ruins. 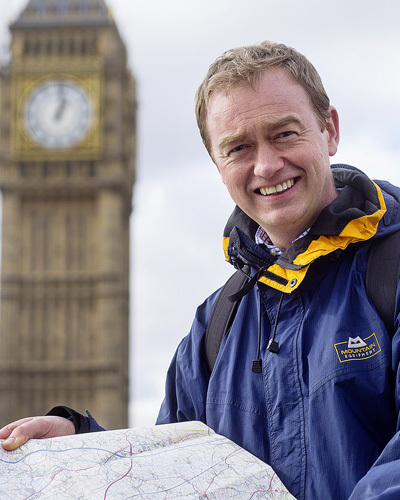 Tim Farron picked up the reins from Nick Clegg and started what he called a fightback. There were good early signs with a big spike in new memberships, but the damage has been done and today will be too soon for the Liberals to make a significant step in returning to former glory. Can 16-year-olds be trusted with a vote? 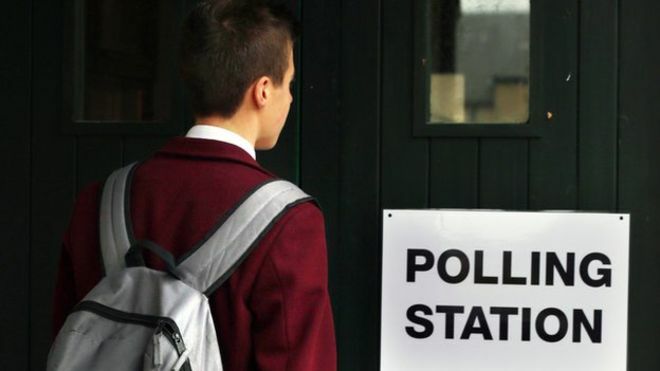 In Scotland, 16 and 17 year olds will join their more mature peers to cast their vote. Not so for those south of the border and government blocked moves to extend the vote to these teenagers for the EU referendum. But it’s a step in the right direction, engaging the younger generation in politics and hopefully one day every 16 year old will have a say. Will UKIP make local elections a signal post for the EU ref next month? The smaller, topical parties will be hoping to ride anti-European sentiment into local councils. 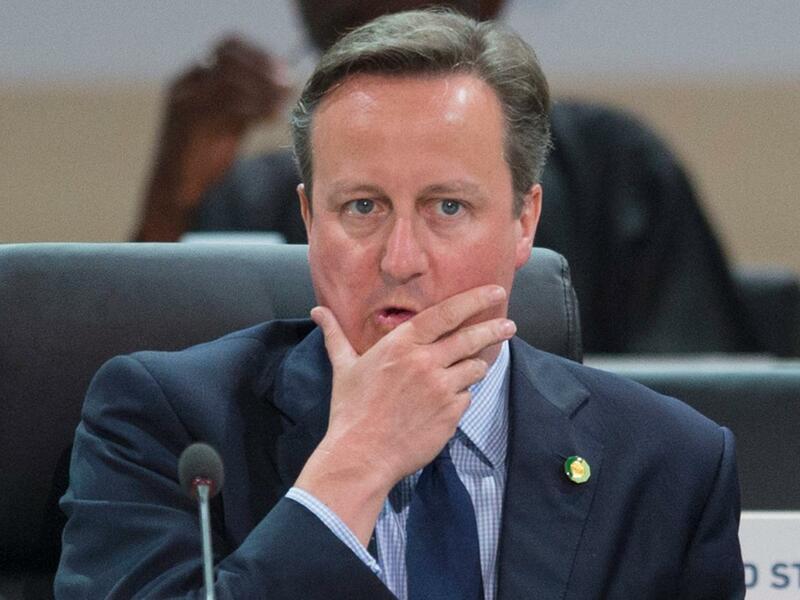 With the EU referendum next month, today’s votes could throw up a few surprises. While many won’t win seats, a good show of national votes for Brexit parties will make Cameron and the StrongerIn campaign very nervous. How will voters react to an evolving language of politics? In the US, a defining policy of Republican Donald Trump was the Trump Wall to keep immigrants out. Here in London, Zac Goldsmith was criticised for a ‘passionate plea’ in the Mail on Sunday – which included an image of the 2005 London bombings. The language of politics and politicians defines and reflects the society and culture in which we live. Zac apologised and blamed poor picture choice, but the article was an attack on his opposite number, far more than setting out a vision for the world leading city he believes London can become. But, while this approach has been criticised online and the doorstep, will it make the difference when a voter is behind the curtain casting their vote? Is it good enough, to just do good? There’s no denying Kids Company, the charity run by the iconic Camila Batmanghelidjh, did great things to help inner city children during its 20 years. But serious financial and governance problems caused it to close its doors; and it’s perhaps the most famous example that doing good, in the end, wasn’t good enough. Housing associations are charitable, which means they’re not-for-profit, no shareholders expecting a return on their money, and any profits are put back into new homes and services. Housing associations are well known for providing homes for those in housing need, investing in services that help their residents get on in life, and working to build great places to live. They’re officially public sector bodies right now too, but later this year, they’ll be deregulated by government. Deregulation will bring new freedoms to a sector that has been tied closely to national and local government for so long. And with increasing control over its own destiny, pressure and expectations for it to deliver – both for its residents as well as building much-needed new homes – can only increase with it. So, in this new world as private, commercial organisations, will doing good be good enough? Or, like Kids Company, can they carry on doing good if their businesses are not good enough? There’s always been a need for housing associations to balance three interlinked but sometimes conflicting pressures. What’s best for the business? What’s best for current and future residents? What’s best for society? Government policy – rent reductions, benefit changes, an unerring focus on homeownership – will continue to pile on the pressure on housing associations to deliver, threatening to unsettle this delicate balancing act. So, associations, particularly at Board level, will need to be alive to this, and not allow commercial objectives overshadow the social purpose – and vice versa. Just like at Kids Company, Boards have such a crucial role to the success of their organisation. There are some excellent chairs and Board members from associations large and small, who bring substantial experience and a range of skills, from housing and other industries. But these Boards will be tested in a deregulated world, and collectively they will need to ensure they have the right skills and experience round the table as the world continues to change around them. They also have to lead, setting and scrutinising an appropriate strategy, making sure the business is strong and stable enough to navigate difficult waters, achieving commercial and financial success alongside demonstrable social impact. Given the pressure to increase homeownership and the financial benefits of an expanding private rent portfolio, they must also act as the guardians of the homes our communities need for an affordable rent (with a very deliberate lower case). Deregulation will obviously move housing associations away from the financial safety of the government and its Treasury. They’ll still be sound places for investment, but lenders may well be more wary. Government grant has all but dried up for affordable homes and when you add in the rent reduction, which devalues a housing associations assets, lenders might lose their appetite for housing or at the very least impact the low interest rates the sector has enjoyed for so long. When I’ve met funders who’ve supported housing associations, they wanted to see that healthy surplus and strong balance sheet – but they also wanted to see that social ethos too. It is that balancing act again. It’s certainly time for new partnerships. After a rocky start a working relationship is forming with government – housing associations can be the answer to the conundrum of how to build one million new homes. But there’s also a need to redefine the way they work with local government. This historically close relationship is under strain as they try to balance the books while meeting the needs of their communities. Ultimately we share similar values and objectives and can help each other, but it needs to be an equal and open relationship. We’ll need to work closely to make housing developments viable and affordable. And, of course, true joint ventures with housebuilders will get more homes built, share risk and provide benefits for all partners and the community at large. But what about doing good? Expectations on a deregulated housing association sector will certainly continue to rise. Government wants them to build, build, build. Local authorities want them to meet their local housing needs. Lenders want a safe return on their investment. Residents, rightly, demand a decent home and a service to match. Ultimately new freedoms will give housing associations more control over their destiny. Freeing them to build more and do more. They’ll have to behave like a business and think like a charity. I know there’s some concerns over the so-called ‘mega mergers’, but as long as the starting point for discussions is whether they can do more good and provide decent services by becoming stronger businesses, then it should be encouraged. In the end, what makes housing associations different is that every decision is a balancing act at all; they’re social businesses in the truest sense. Each decision should continue to balance the benefits to current and future residents and wider society, as well as the commercial gain. So this social ethos will be tested when the sector gets hold of its new freedoms and flexibilities, but I’m sure that doing good, but doing it even better, will remain central to their purpose. 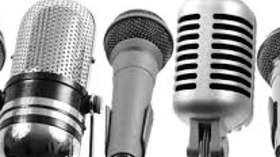 Is storytelling really just about talent? Whether you’re working on a novel, annual report or a corporate case study, is great writing really just about talent and creativity? As a journalist and PR, I’ve done plenty of the latter, but I’ve not written a long creative piece since I finished a novella at university…which was some years ago. However last month, armed with an idea, I started work on a novella – but have had little success so far. I know I can write, so what was the problem? Was it writer’s block? A lack of inspiration perhaps? As I struggled to get creative, I turned to some great writers to better understand what makes storytelling happen – and found there were some basic rules to building a story that I needed to understand before I could find any of this mythical free flowing creativity. At the very foundation, there are just two types of stories. And it is believed Homer – the Greek one – defined them both when he wrote the Iliad and the Odyssey around the 8th century. 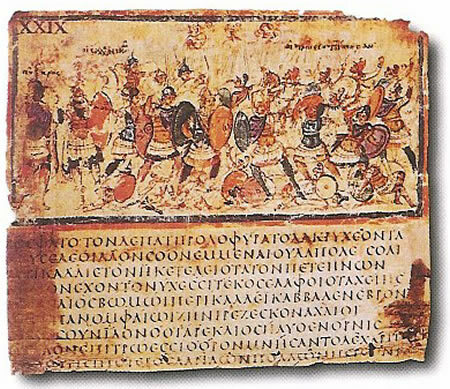 In the Illiad he chronicled a few weeks of the decade-long Trojan war, while the Odyssey follows Odysseus’ perilous journey home after that battle. The action comes to the main character, and the drama often comes from the abilty of the main protagonist to resist and endure. Applying this to my emerging story, I was able to lay the platform from which to build the narrative. It’s to be a siege. 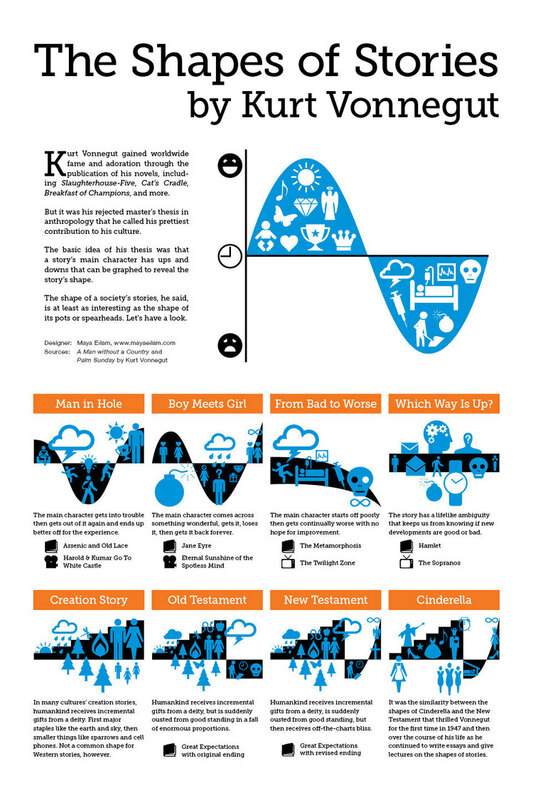 On top of these simple foundations, Kurt Vonnegut explored the shapes of stories – and his work was turned into a brilliant infographic by Maya Eilam. What these stories have in common is there is always a change, a problem or an interruption that sparks or forces a reflection, a reaction or a transformation within the characters. A man and his wife have been having problems. But they sort their problems out. A man and his wife are having problems. Aliens land. They are forced to work together in order to save the world. They sort their problems out. Although I think Will Smith may have done this one already. There are obvious exceptions, writers such as David Mitchell often tear this rule book up, but before I started to write I took some time to work out the shape of my story. It’s roughly boy meets girl, but with an extra bump or two. Now I’ve got my story structure and shape, I’m turning to write. And, having now consulted the thoughts of many successful writers, here are some of the other nuggets I’ve found to help turn a blank page into something you’d be proud to share. Read. Read all the time. You can’t be a great writer if you’re not a great reader. Write. Write every day. At the same time if you can. Ritual, habit, consistency – it’s like training for a marathon, it’s hard, sometimes you won’t want to, it’s raining and there’s something good on the tele…just write. Plan ahead. In order to keep the complicated narrative on track JK Rowling plotted her books using a simple, hand-drawn spreadsheet. Know where your story is going. No distractions. In a world with endless TV channels and 6,000 tweets tweeted every second you should unplug from the noise for a bit. Write, reread, revise – repeat– Write it all down, tell yourself the whole story, then go back and hack away at it until only the words that really count are left. Don’t be constrained by what you know.Research it, read about it, talk to people about it – then write about it. Otherwise our imagination can never travel far. As far as we know, JK Rowling is not a wizard. For more advice, from a man that’s sold 350 million or so books, have a look at the great tips on how to write by Stephen King. Whether you’re stuck with a piece of writing, or have been putting off starting that book you’d always wanted to write, I hope some of these tips have been useful to get your project on track, they’ve certainly helped me. But the best piece of advice I’ve found, among the vast swathes of writers writing about writing, is to be yourself. Find your voice, write your way, and most importantly write for yourself first – enjoy it. With my plot plotted and characters taking on a life of their own, I’m planning to have my novella finished by the end of this month. Wish me luck. I hope the ending for my writing story is, as Kurt would say, New Testament, off-the-chart bliss. We’re very lucky to have a democratic political system, where we all get a say in who represents us in Parliament. But having watched how the Housing and Planning Bill has been put together, perhaps it’s time to consider alternative ways of making and shaping policy that affects us all. Housing is, for all of society, a vital and surprisingly emotionally charged subject. It is a refuge, a place to build a family, an investment and so many other things. And making policy is complicated, but it is made more so when politics takes over. As I said in my 2016 predictions, the Chancellor, at the Autumn Statement, said ‘above all, we choose to build the homes that people can buy. For there’s a growing crisis of home ownership in our country’. Rightly or wrongly, this specific view of the housing crisis has driven all subsequent policy decisions. Then we come to the Bill itself. Late night/early morning debates, potential conflicts of interests and a swathe of last minute amendments all meant the Bill didn’t get the attention or detailed debate it deserved – as the Independent dramatically pointed out. I’m not going to go into the merits of the policy itself, but I do want to discuss how policy is made. Here is a video from the UK Parliament, explaining how a Bill becomes law. It sounds good, right? But once we’ve cast our vote, the policies which are made and voted on by our MPs for the following five years may no longer be representative of our views. The party with the majority, despite any fuss and bluster of the opposition, will often win out due to their sheer numbers. But how many of those MPs voting deeply understand the issue? How many have been whipped into line? Experts, from industry or the third sector for example, can submit evidence to the committee, and some are called to give evidence. But it is the experts trying to influence the politicians, when perhaps it should be the other way round. Thinktanks are a great place to test policy outside of the parliamentary process. Let’s expand their role, perhaps create a broad independent thinktank, with representatives across the political spectrum, to co-create policy that meets the government’s manifesto commitments, while balancing the needs of the rest of society. In 2013, Iceland attempted to crowdsource their new constitution. A monumental task which, ironically, ultimately failed when it reached parliament, but there were two particularly unusual features that we could learn from. The first is a National Forum, made up of a demographically representative group of 950 citizens. This group were brought together to discuss the principles and ideals they wanted to see in their country. The second was an assembly of constitutional drafters, which excluded professional politicians. Again, independent from politicians, with experts and policymakers making policy. I saw recently the Government Digital Service are now turning their focus on digital engagement. So let’s get policy into the public arena through digital channels. Back to Iceland, they received around 3,600 comments on their constitution via Facebook, Twitter, email and mail. Pretty good stats. I got in touch with the head of GOV.UK, Neil Williams (@neillyneil), to ask if the 2011 vision for online consultation and policy engagement had ever progressed. They’ve achieved so much with GOV.UK, but this had not taken off. He said it there is momentum in government and maybe it was time to revisit this idea. I hope they do, opening up government, making policy more independent with crowdsourced ideas can only lead to more creative solutions, generate buy-in from the public and ultimately shape better and fairer policy. If you enjoyed this blog, don’t miss a post, please subscribe using your email below. 2015 was an unpredictable year. All the pollsters and pundits were flummoxed by the general election result, as voters decided that one coalition parliament was enough. Even on the night, as more reliable numbers started to come in, Paddy Ashdown said he’d eat his hat if the predictions of a 47-seat loss were correct. He ate a hat-shaped cake on the following week’s Question Time. Then, Jeremy Corbyn went from the 150/1 outsider to storm the Labour leadership contest. So, if we’ve learnt anything from the last year, is that we cannot predict the future. That uncomfortable fact aside, here are my predictions for housing in 2016. The government has set its sights on one million new homes by 2020. Or 200,000 a year. Not bad. But back in 2007 the government set a target of building 240,000 new homes a year by…2016. Ah. Even then the report that now sits in the House of Commons library said there was debate about whether this figure would actually meet demand and deal with the backlog of unmet housing need. At the time private house builders were building around 190,000 homes, but then the market crashed. There’s a recovery going on, with starts and completions increasing, but even 200,000 will need a huge effort from both public and private sectors. We need to set our sights higher, aiming to build far more, if we want to meet that new as well as pent up demand. Here I’ll just point you towards the excellent brickonomics blog from Brian Green. The package of measures, from starter homes to the relaxing of shared ownership rules, the Voluntary Right to Buy and continuing Help to Buy will undoubtedly support people to buy a home. It’s hard to predict if it’ll hit the target of one million new homeowners, but the chancellor will certainly see a rising percentage of home ownership. The summer Budget, mainly due to the 1% rent cut, put the brakes on housing association development. However, the Section 106 changes to prioritise starter home for sale, and the eventual sales of social rented homes through the Right to Buy may mean that it is the affordable rented sector that suffers in the short and long term, creating a different type of housing crisis in the future. I’m lucky enough to own (a bit of) my own home. And as my family grows I’d like, one day, to be able to move to a bigger house. But as I live and work in the south east, that’s getting harder and harder. I can’t imagine how hard it is for people just starting out. Prices rose more than 10% nationally in 2015. Newham rose a staggering 22%. Wages are recovering, but the longer you take to save, the further out of reach the houses become. I can’t see this cycle ending yet. We’re just not keeping up with demand and supply-side policies will inevitably see prices continue to rise. I’m biased here, I work for a housing association, but I think the sector will do some great work next year. It will be an incredibly difficult year for the sector, particularly the financial impact of the rent cut, but I believe they’ll adapt. In 2014/15, as featured in Inside Housing’s annual survey, the top 50 developing housing associations finished 40,213 homes across a range of tenures. This compared to 26,214 completed by the 50 biggest builders the year before. They forecast 34,526 completions this year, rising to a very impressive 106,250 by 2018. Given the Budget, as you can see from that graph from the OBR, that’s going to be tough. But I suspect housing associations will meet the 34,000 figure and push on, minimising the impact. There’s no surprises here, they’ll change the mix slightly, they’ll have to be smarter on asset management strategies and they’ll have to be more effective and efficient in everything they do. And finally, some political stability. Despite the very public positioning to take over from David Cameron, the shadow cabinet unrest with the new Labour leader and the usual 12-month career of a housing minister, my final prediction is one of stability. I think, given next year will be dominated by the escalating immigration and Syrian crisis as well as the EU referendum, I suspect Cameron, Corbyn and Lewis will still be in their current jobs next time we sing Auld Lang Syne. What’s your prediction for 2016? Leave a comment below and scroll down to follow this blog via email for more housing debate next year.